Panaji, February 13, 2019 … The Prevention of Insults to national Honour Act, 1971’ and ‘Flag Code of India, 2002’ governs display of National Flag, and is made for strict compliance of the provisions contained in the Act and the Flag Code. This is called the Prevention of Insults to National Honour Act, 1971 and it extends to the whole of India. 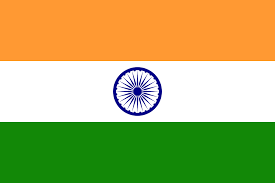 Whoever in any public place or in any other place within public view burns, mutilates defaces, defiles, disfigures, destroys, tramples upon or *otherwise shows disrespect to or brings into contempt (whether by words, either spoken or written, or by acts) the Indian National Flag or the Constitution of India or any part thereof, shall be punished with imprisonment for a term which may extend to three years, or with fine, or with both. The expression, ‘Indian National Flag’ includes any picture, painting, drawing or photograph, or other visible representation of the Indian National Flag, or of any part or parts therof, made of any substance or represented on any substance. The disrespect to the Indian National flag means and includes a gross affront or indignity offered to the Indian National Flag; or dipping the Indian National Flag in salute to any person or thing; or, flying the Indian National Flag at half-mast except on occasion on which the flag is flown at half-mast on public buildings in accordance with the instruction issued by theGovernment , using the Indian National Flag as a drapery in any form whatsoever except in state funerals or armed forces or other para-military forces funerals; or # using the Indian National Flag:- 1) as a portion of costume, uniform or accessory of any description which is worn below the waist of any person; or 2) by embroidering or printing it on cushions, handkerchiefs, napkins, undergarments or any dress material; or putting any kind of inscription upon the Indian National Flag; or using the Indian National Flag as a receptacle for receiving, delivering or carrying anything except flower petals before the Indian National Flag is unflured as part of celebration on special occasion including the Republic Day or the Independence Day; or using the Indian National Flag as covering for a statue or a monument or a speaker’s desk or a speaker’s platform; or allowing the Indian National Flag to touch the ground or the floor or trail in water intentionally; or draping the Indian National Flag over the hood, top and sides or back or on a vehicle, train, boat or an aircraft or any other similar object; or using the Indian National Flag as a covering for a building: or, intentionally displaying the Indian national Flag with the “Saffron” down. Prevention of singing of National Anthem Whoever intentionally prevents the singing of the Indian National Anthem or causes disturbances to any assembly engaged in such singing shall be punished with imprisonment for a term, which may extend to three years, or with fine , or with both. Minimum penalty on second or subsequent offence:- whoever having already been convicted of an offence under section 2 or section 3 is again convicted of any such offence shall be punishable for the second and for every subsequent offence, with imprisonment for a term, which shall not be less than one year.